Electric smoker oven with 800 W output for the delicious processing of fish, meat, sausage, tofu or vegetables. 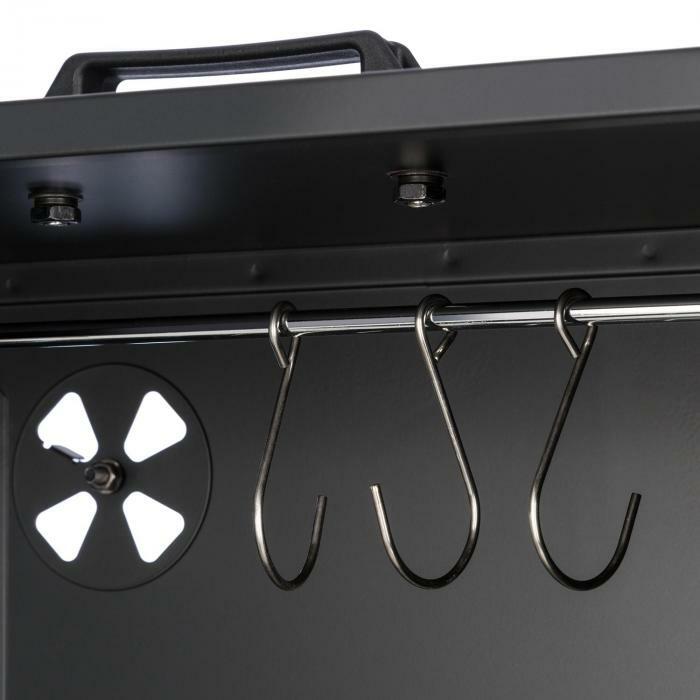 Roasting chamber with three smoker trays and three hooks for hanging smoking utensils, including a removable key for smoker cutlets and a drip tray. Simple operation and transportable: Ventilation flap at the rear, thermometer up to 350 °C in the door, handle at the top for easy placement. 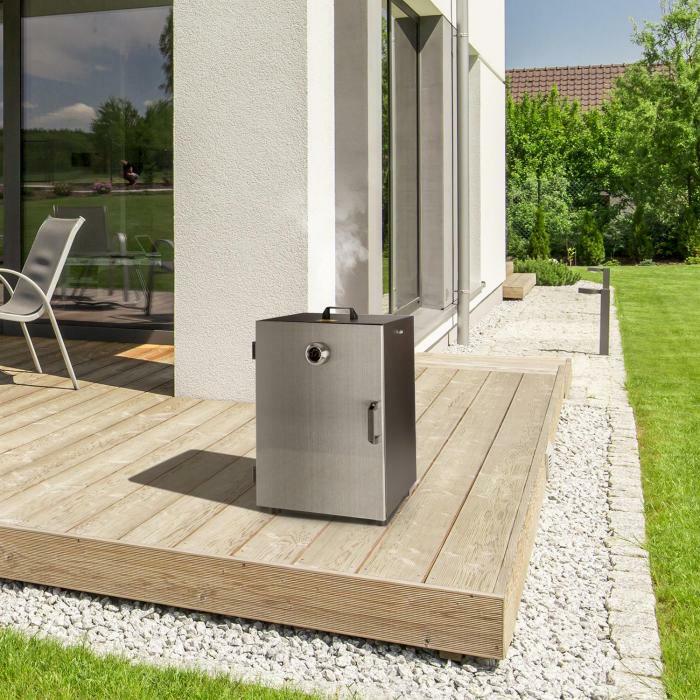 Delicious smoke signals: Just add aromatic smoke to the Klarstein Flinstone Steel smoker to make delicacies at home! Roast meat, fish, sausage and even tofu or vegetables in flavoursome wood smoke for exquisite delicacies. Discover the traditional art of smoking. Give the most varied foods the taste you want with the Klarstein Flinstone Steel smoker oven. Moreover, extend the shelf-life of your meat, fish or sausages. 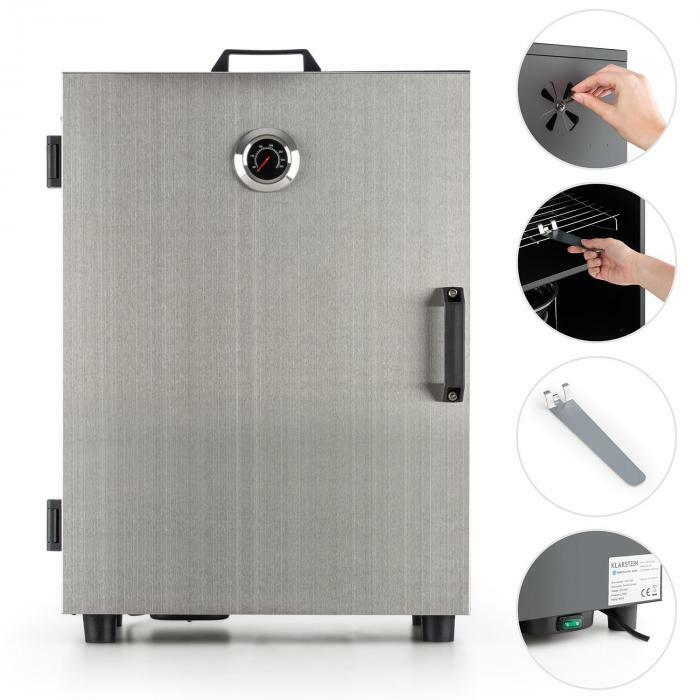 With a 800 W, electric heating element, the oven makes the aromatic wood pieces to a cinder and simultaneously roasts the food slowly to perfection. Three chrome-finish smoker trays, each with 40 x 25 cm surfaces offer plenty of space for hams, blocks of tofu or your own sausage creations. A removable drop tray collects condensation and fat and makes it easy to clean up afterwards. 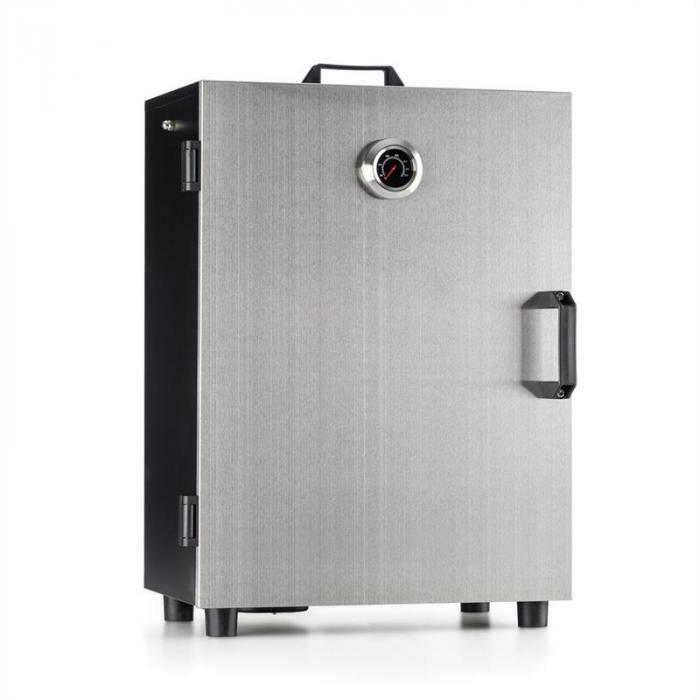 The thickness of the smoke in the Klarstein Flinstone Steel smoker oven is regulated by a ventilation flap at the rear. 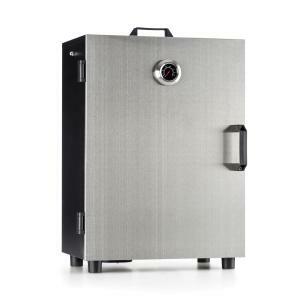 A thermometer up to 350 °C integrated into the door makes it easy to monitor the temperature of the smoker. 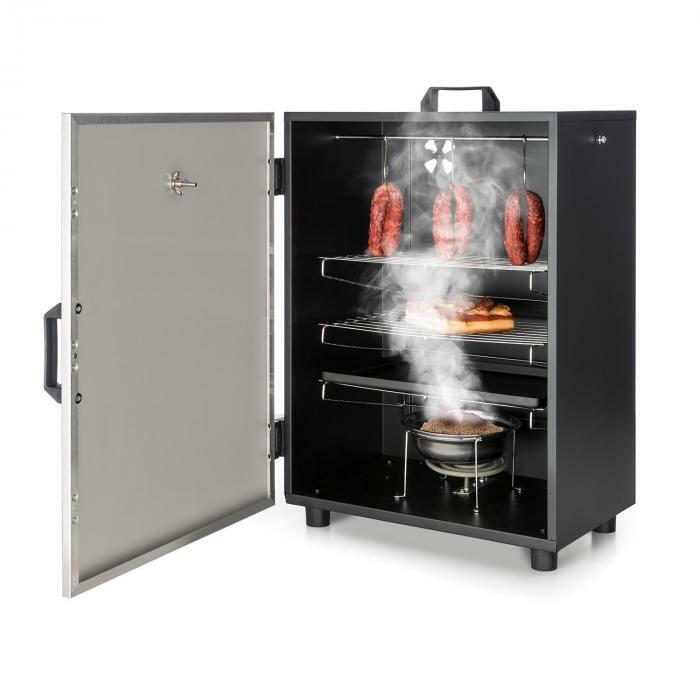 Smoker cutlets and aromas are transformed in the removable stainless steel key directly above the electric heating element into delicious smoke. 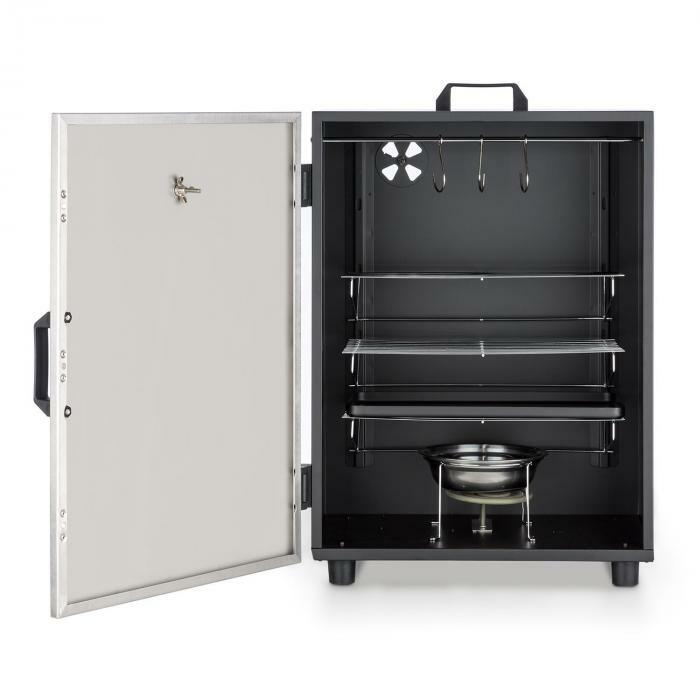 Thanks to the light-weight design and a top-sided handle, the smoker oven can be transported with little effort. Discover the high art of smoke processing easily at home. With the Klarstein Flinstone Steel smoker oven, food doesn't just receive a delicious aroma but also a longer shelf-life. Please note that the smoker oven may only be used outdoors due to the smoke produced.